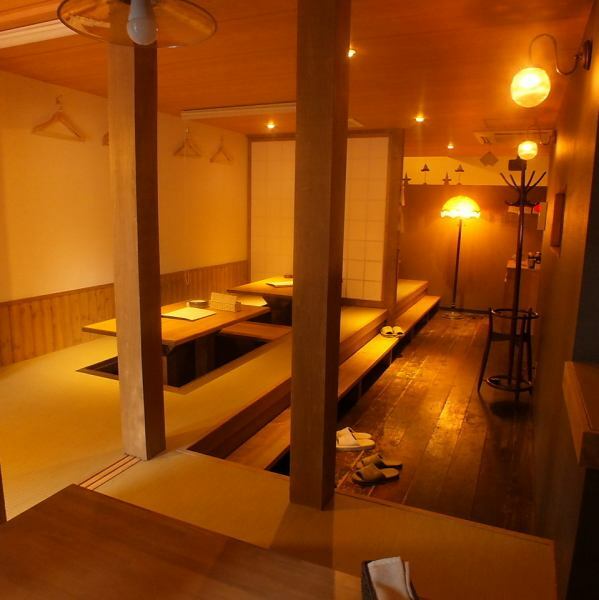 The second floor is a tatami-matched tatami room with excellent atmosphere! 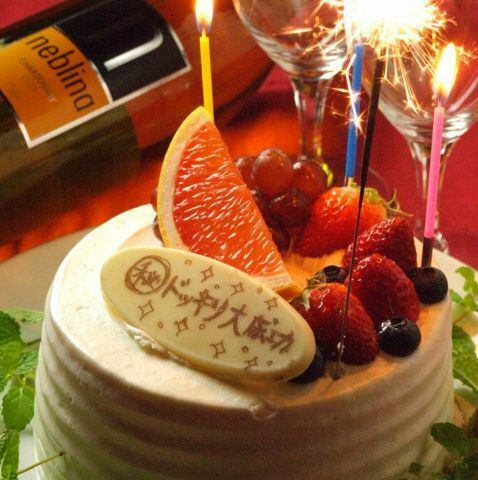 For birthday · anniversary ... ♪ I will produce memorable night. 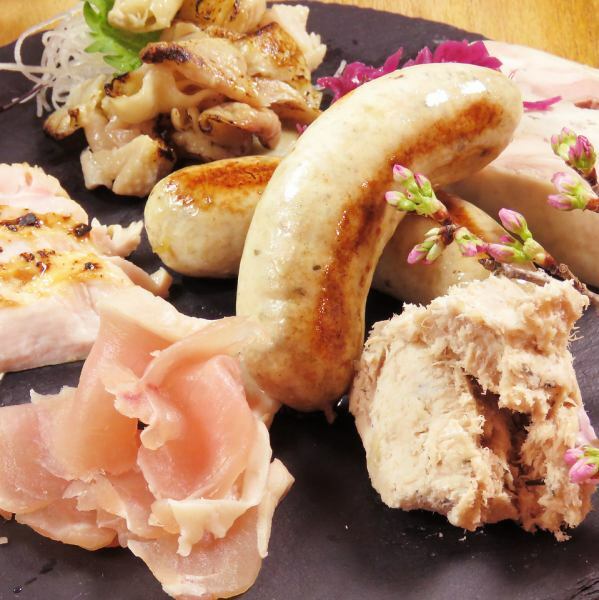 Army prime for enjoying assortment of military chicken such as bamboo raw ham, terrine, miso pickled, battle chick peel ponzu etc. is popular! 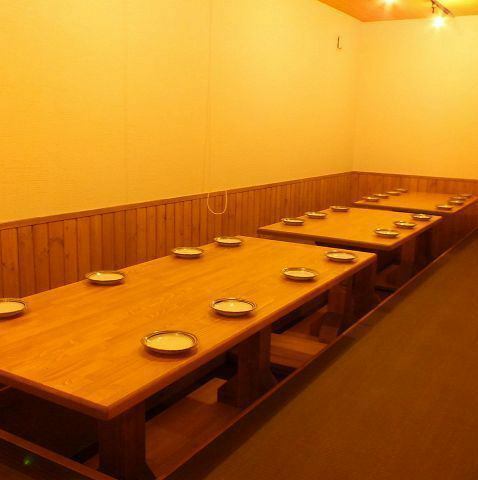 Repeaters are in succession.Popular 3500 yen banquet course, 5000 yen course is also included! 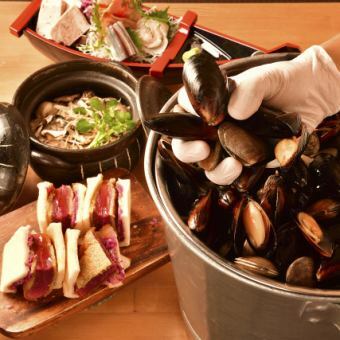 Scissors ~ Wasabi ~ / Lever ~ Sesame oil ~ / Hats ~ Mountain wasabi ~ / Seseli ~ Yuzu salt ~ / Skin ~ Miso ~ / Bevel ~ Salt ~ / Furigo ~ Garlic oil ~.Together with white wine. 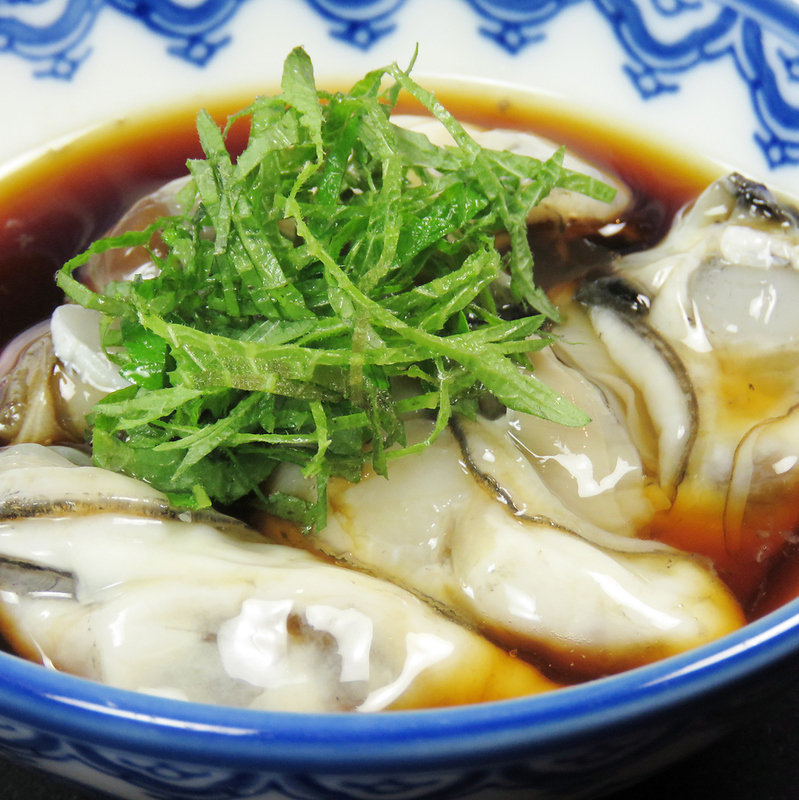 It is a gem that fits with olive oil and lemon-covered shellfish and homemade rock salt and Kyushu soy sauce tasting white wine! 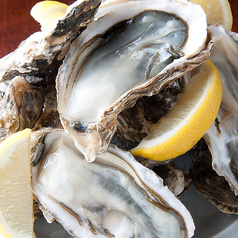 It fits well with white wine, as well as being compatible with other wines! 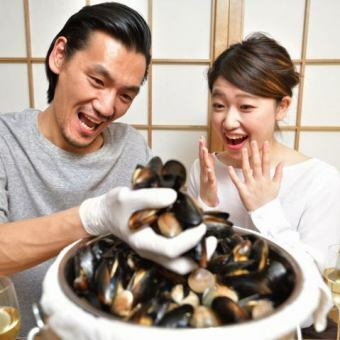 Competition of popular 3500 yen Banquet course, 5000 yen course is also included! Two-tiered digging with a nice picture of a wall The seat is spacious and fashionable.We can arrange seats according to the number of people! 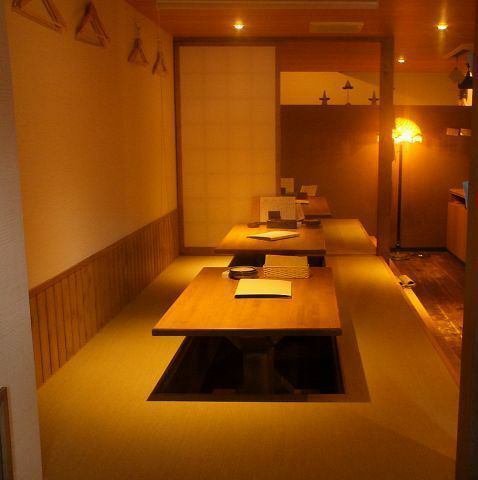 In 2F there is a private room with digging corresponding to 25 people.A private room decorated with the attention of interior is a space where you can relax.Famous designer Sony's fourth shop opened by Chiba. 1F in the open kitchen is easy for one person to enter, the second floor is a relaxing family full of complete private rooms.It corresponds to various scenes! Energetic and bright staff will respond ♪ There is no doubt that it will remain in the heart with "Superb Italian Cuisine × Delicious White Wine x Energetic Hospitality"! 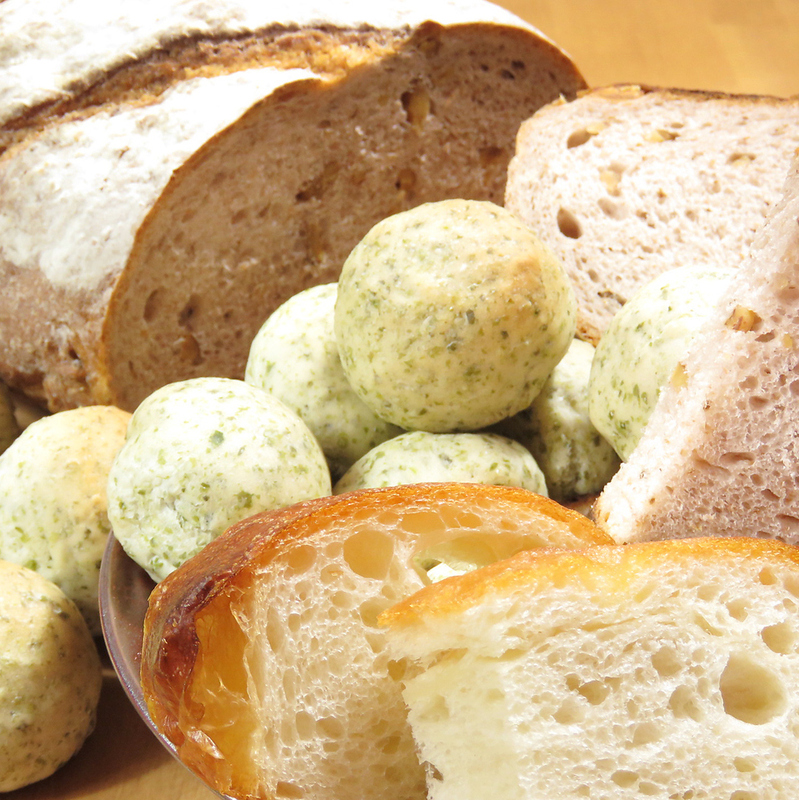 We use Hokkaido wheat to connect everyday !! It's compatible with Alsace wine ◎. 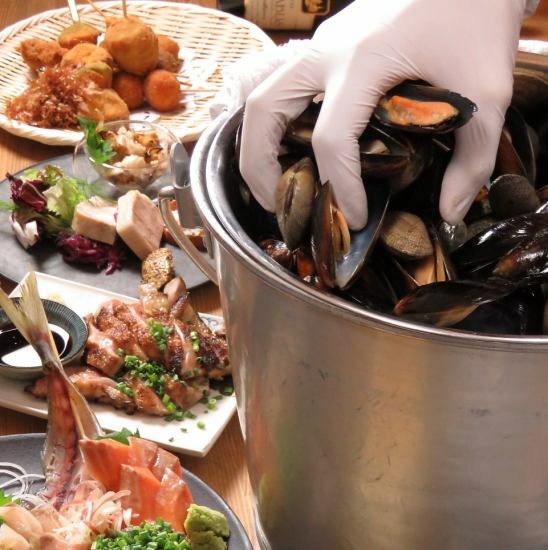 Half: 1480 yen (excluding tax) / Full: 1980 yen (excluding tax) ※ Hokkaido white oysters, scallops, clams, etc ... White wine steamed with 5 to 6 shellfish (white wine all OK 1 item) ※ The remaining soup is free of risotto! 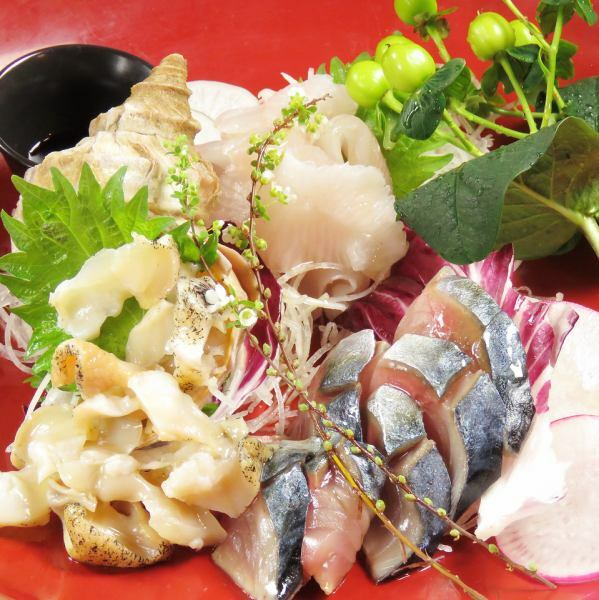 Light and fruity, refreshing and without a habit Gabugabu you can go! By putting ice, it is well broken, cold and easy to drink! It is also recommended for people with weak sake! Unusual bottled wine made in Yamanashi Prefecture.I use Koshu grapes from Japan, it fits Japanese food and sashimi very much. 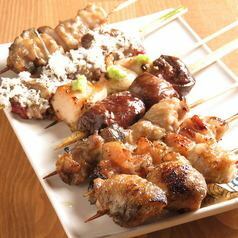 Choose 3 kinds of things you like from 13 kinds.I can compare drinks. First of all, if you come to Hundred Forties this one! 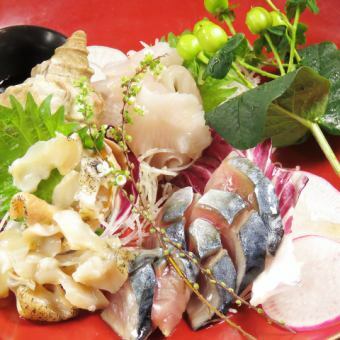 Use ultrafoaming, malolaric yeast, so the total balance of dry and fruit is the best.Go to the carpaccio ~! 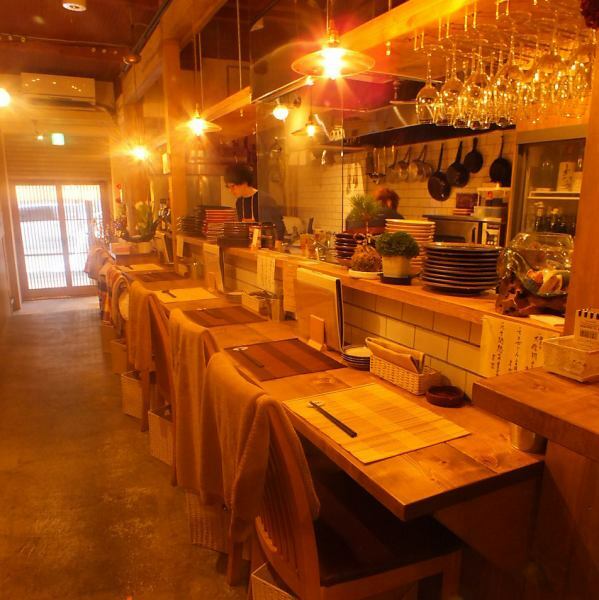 If you come to Hundred Fuku, this one is the first one! It fits the battlefowl !! This price is above the price! 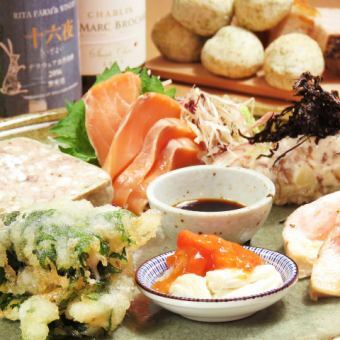 In Hokkaido the grapes familiar with the name of tea grapes.It is a fruity aroma that feels something nostalgic.Yakitorio chef, Tsumi-chan recommended! Creator who is working on nature wine from Alsace for a long time.The ornate and elegant fragrance is extremely popular among women. AOC Chablis! Natural chablis This price is reasonably lucky! It is quite delicious. Even inside the white grapes the pericarp is thick and finished in solid wine.A delicious natural school with no so-called biost smell. Dark gold colored flavor Orange wine.It is an adult flavor.Cooking chair Ken-chan pushed. Ripe grapes and the scent of wild yeast.The father of Italian natural wine makes a commitment white that makes existence. Dry, fruity wine with floral and citrus aromas and tropical fruit flavor.It is a vivid flavor with freshness and aromatic flavor like waking up. "Wine should be natural, should continue to be natural," the producer.There are also delicate minerals with no spicy taste and a powerful aroma of finish, fresh and smooth taste. Lychee, passion fruit, orange, a scent of complicated complicated and rich fragrance with a slightly rose scent.It is a fruity and rich taste with fresh, lively fragrance lasting long. There is a nuance of minerals and nuts in fruit incense of lemon and apple.Delicious and elegant taste while rich in fragrance. Actor from Hokkaido Winery that also became the stage of the movie starring Hiroshi Oizumi "Grape no Namida".A fruity aroma and sweet and sour tender taste somewhat feels nostalgic. It is pearly yellow, and its fragrance is scent of apricot and pure mineral.With the passage of time, the fragrance of citrus fruits opens.The good balance of fresh aroma and taste is a gem that is shining. Vineyards that make delicious wines by leaving to healthy grapes themselves in a single storehouse such as state-of-the-art equipment.Variety that the pericarp is thick and finished in a firm wine.A delicious natural school with no so-called biost smell. The goodness of "not changing", the cantina that keeps on wine making backed by history.Even though it is a bitter dry spot, it has a thick sense of volume firmly. Anjo Leno Maure, now known as a representative of the Italian nature faction.Excellent drinking comfort, yet it feels like the original vitality of grapes wine. Delicate aroma and fresh acid such as citrus fruits, herbs and tropical fruits.A refreshing and comfortable fine bubble wine that complements it. Moe · e · Chandon Co., which boasts tremendous popularity, synonymous existence of champagne.Elegant taste with exquisitely blended three kinds of grapes.Moe's representative champagne. 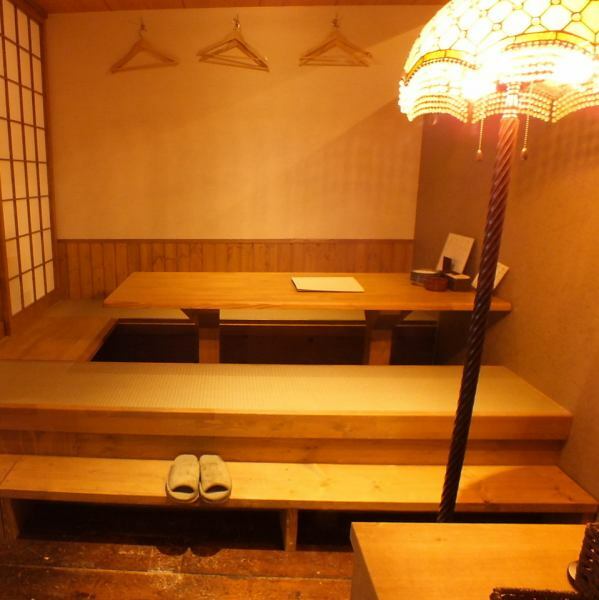 3 minutes on foot from Odori · Susukino Station, 1s on foot from Toyosui Susukino Station 1st exit.Mr. Toyoshi Susukino, House next to Mr. Uyu.